Fly, drive, ride or cycle? 100 amazing puzzle pieces in this fun suitcase puzzle with too many vehicles to name, from farm to city landscapes. Take a drive through the bustling city streets, overhead on the freeway across bridges, along the country lane or fly through the air in your vehicle of choice. 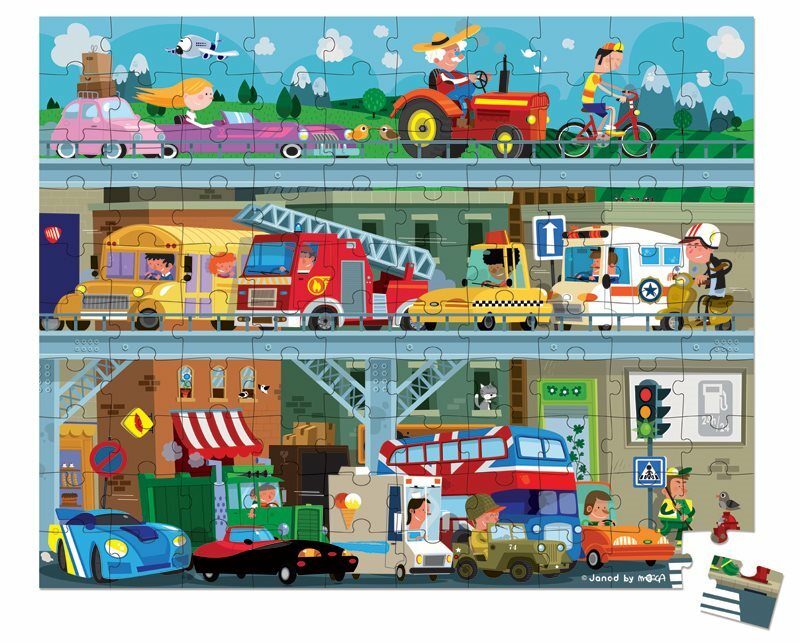 This puzzle has plenty of great detail, with vibrant modern colours. 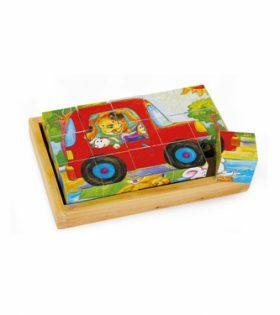 A classic Janod puzzle toy, suitcase style jigsaw. 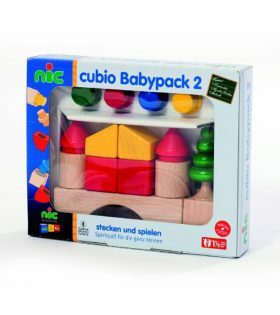 With matching carry suitcase to contain all the puzzle pieces which makes it transportable for your children to travel the puzzle from one location to another. 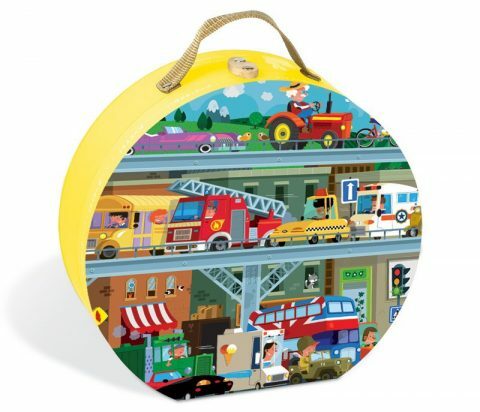 The vehicle suitcase with yellow sides, displays the completed puzzle layout on the front of the carry case. 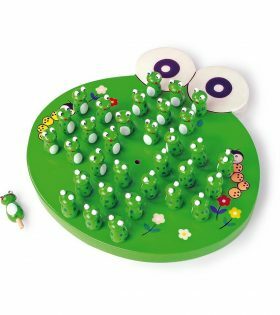 The suitcase is round in shape, with a convenient carry handle for your little one to manage moving the puzzle about easily. The latch at the top keeps the suitcase closed securely so puzzle pieces don’t fall out. 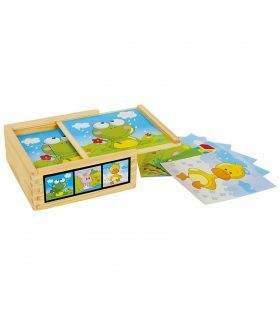 This Legler Cube Puzzle Animal Fun set comes with 16 wooden cube puzzle pieces, each revealing 6 stunning animal pictures. 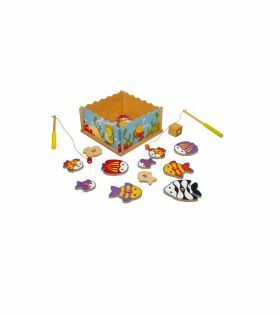 Ludo gets a facelift with Legler?s Ludo Pirate Island. 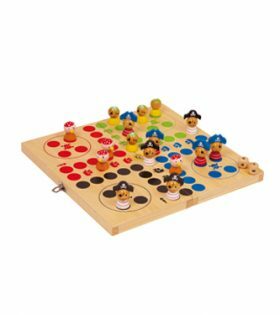 The wooden game board folds away neatly, keeping the 16 wooden pirate figures safely inside. 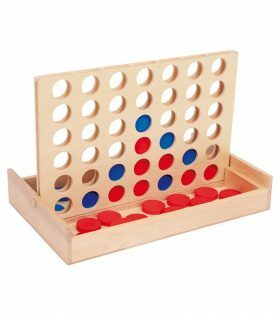 This 4-in-a-row game set from Legler is made entirely of wood and folds up easily when not in use, making it ideal for travel. 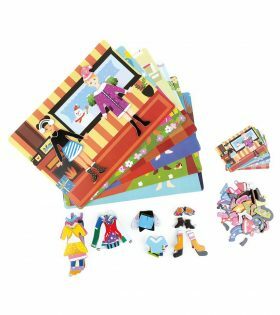 The Girl Magnetic Puzzle from Legler consists of 109 pieces including various magnetic clothing items and metal templates. 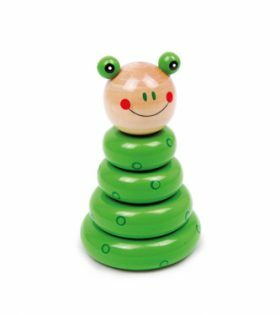 A fun frog solitaire game consisting of 34 hand-painted pieces. 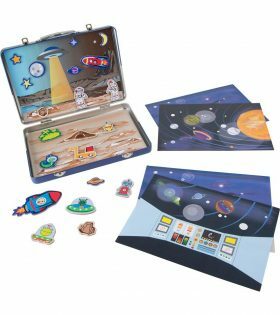 A fun metal case containing various metal backgrounds and 22 colourful magnets.